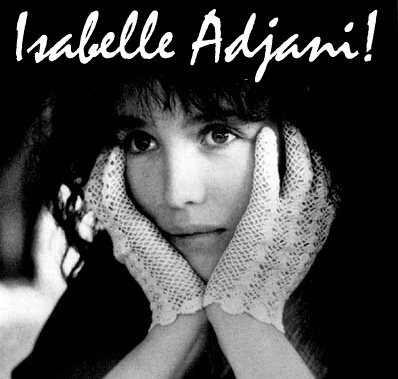 NetControl.net Archive of :: Isabelle Adjani! Welcome! Thank you for visiting my corner of the Web. This site is dedicated to the French actress Isabelle Adjani. Adjani's work is still unknown to many people outside her homeland, and hopefully these pages will help a few people to become acquainted with this remarkable artist. The goal of the site is to compile, over time, a comprehensive collection of information about Isabelle Adjani. Because her private life has been the subject of too much intrusive scrutiny already, I have decided to make it off limits for these pages. Thus, you'll find information here about her work only. Why Adjani? Why not any of the other French actresses, or, for that matter, any other actor or actress? I feel that Adjani's acting is special in a way that's equaled by very few actors, as explained in a brief essay: Adjani as actress. Enjoy, and please provide me your feedback! Biography - a concise overview of Adjani's life, a more detailed description of her professional career, and contact information. Image gallery - a collection of the images used to illustrate these pages, some from movies, some from magazine interviews, and a number of miscellaneous ones. Interviews - excerpts from interviews with Adjani and links to several external interviews. Generally, parts pertaining to her private life have been removed, and very long sections have been shortened. Links - sites on the web that carry some significant degree of information about Adjani. This site is administered by Marcel Durieux, but truly maintained by all the people who provide their input and help. Thanks to all of you! Since its opening on September 8, 1996, Isabelle Adjani! has been visited more than 20,000 times. Please email me your comments on this site. Information about Adjani and her films is always welcome.